Come out for a day of fun and help the animals of Humane Society Pinellas! 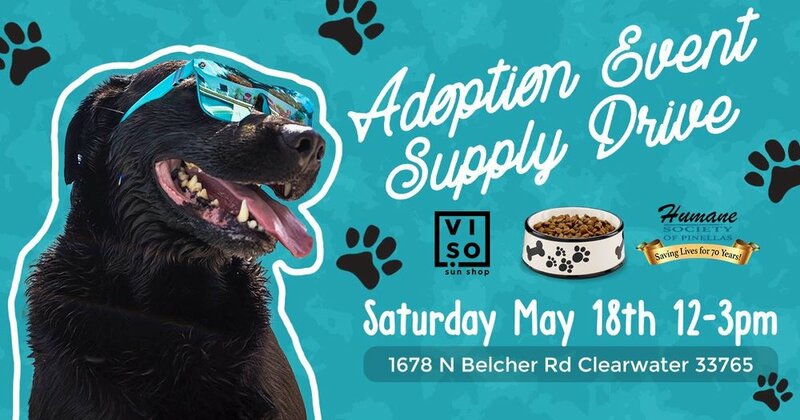 On Saturday, May 18th we'll be hosting a party from 12-3 complete with giveaway raffles, adoptable dogs, games, food trucks, music, and more! Bring an item from their wishlist below and get one free raffle entry! -$250 shopping spree for Viso Sun Shop! -Accessory Package, including pop socket and Pura Vida prizes! Additional Raffle Tickets cost $5 each, benefitting the Humane Society of Pinellas.